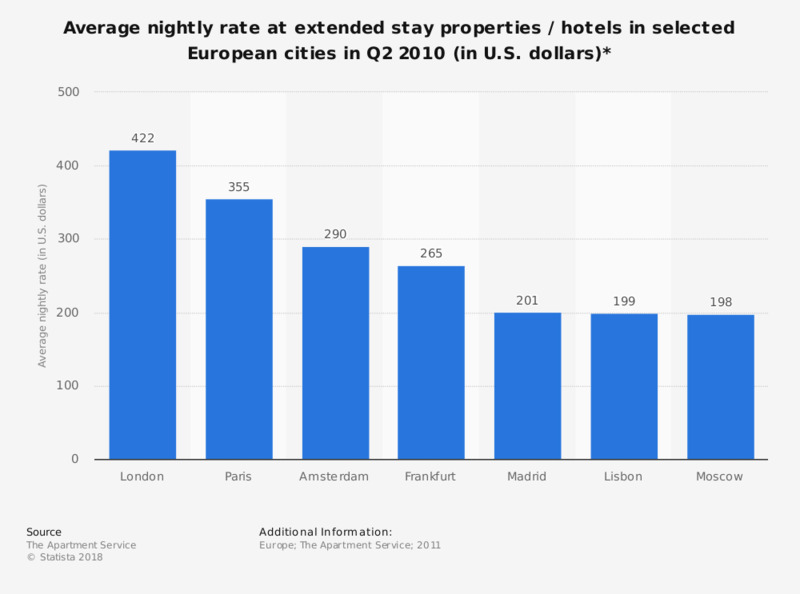 This statistic gives the nightly rate for one bedroom 4 star accommodation at extended stay properties or hotels in selected European cities in the second quarter of 2010. In Amsterdam, the average nightly rate was 290 U.S. dollars. * One bedroom apartment / room. Theses rates are based on average 4 star extended stay properties and exclude taxes. Exchange rates used July 2011.